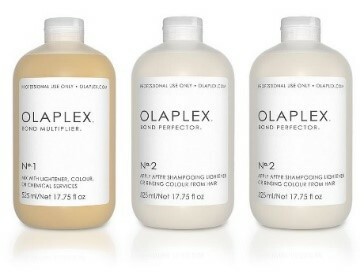 Olaplex is a fantastic hair treatment which helps to reconnect broken disulphide sulphur bonds in the hair. The treatment is labelled a “bond multiplier”, which limits damage to hair during or after colouring. Clients with damaged hair have been impressed to achieve amazing results from Olaplex. 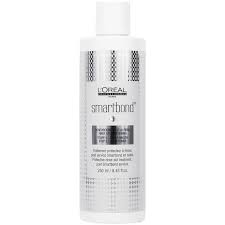 Smartbond is from L’Oreal’s protective and strengthening service, specifically designed for L’Oreal coloring experts. Smartbond is a unique system that protects and strengthens the hair during technical services, clients with age related thinning have noticed great improvements and is recommended by good housekeeping February 2017. Smartbond and Olaplex bonding treatment can be applied as a water based treatment which you can include on your next cut and blow dry service, the treatment only adds 20 minutes on to your service time and the results have been amazing. Why not add Smartbond or Olaplex to your next hair service for only £8.50 per shot? L’Oreal Professional have recently introduced home care system for Smartbond, this product helps to keep the effects of Smartbond up in between services. We recommend you use this amazing home care product once a week. Wet the hair do not shampoo, towel dry the hair to avoid diluting the product. Stage three Smartbond is then applied throughout the hair using a 5 pence piece size of product, this may not sound like a lot of product but smartbond is very concentrated so a little goes a long way! When you think the product is finished on your hands rub your hands together and see the magic re-appear. 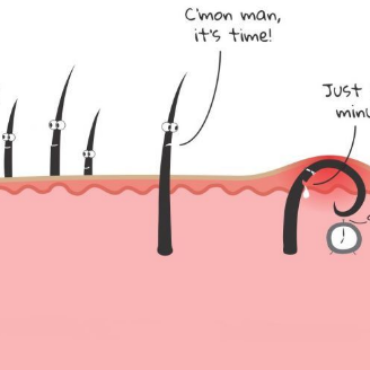 Leave the Smartbond stage three home care on for ten minutes then rinse, shampoo and condition your hair as normal. Ruth Hoffmann said that using Smartbond home care gives her more confidence, as it gives her hair body and bounce making it look thicker and has help to reduce split ends from her hair.